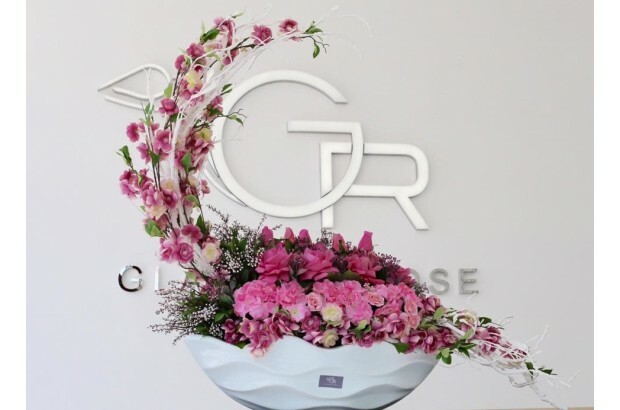 Glamour Rose are renowned for creating some breathtaking florals, all with fresh interpretations of the latest trends. 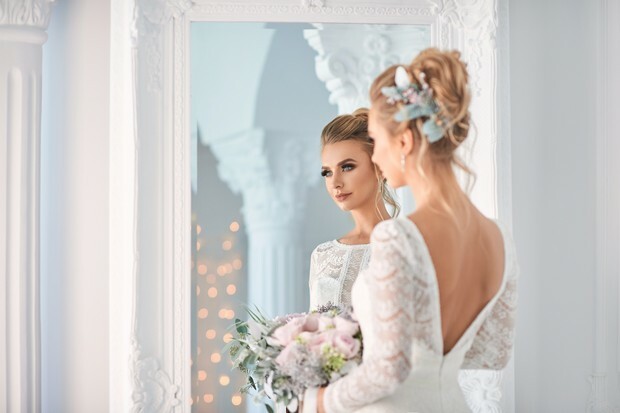 It’s evident that they love taking brides’ ideas and transforming them into weddings with that WOW factor. Here are 3 of our favourites…. 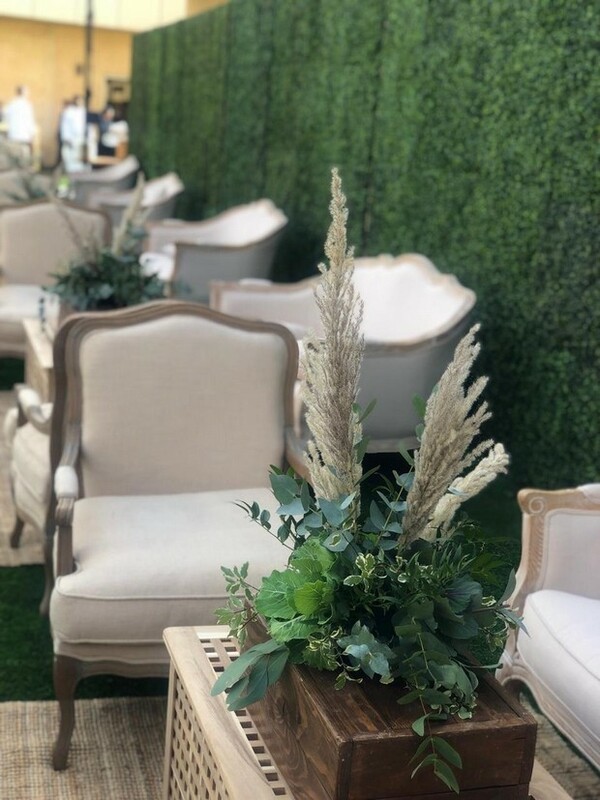 The botanical and organic theme continues to be on trend with lots of all foliage weddings, from the bride’s bouquet to the table decorations and décor. 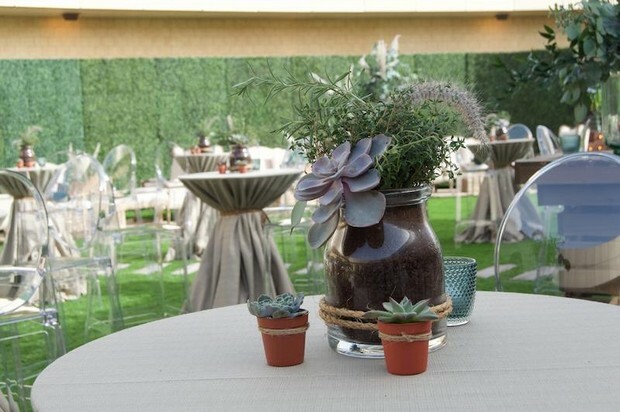 Succulents and cacti work really well with this style of wedding and create interesting texture to the displays. 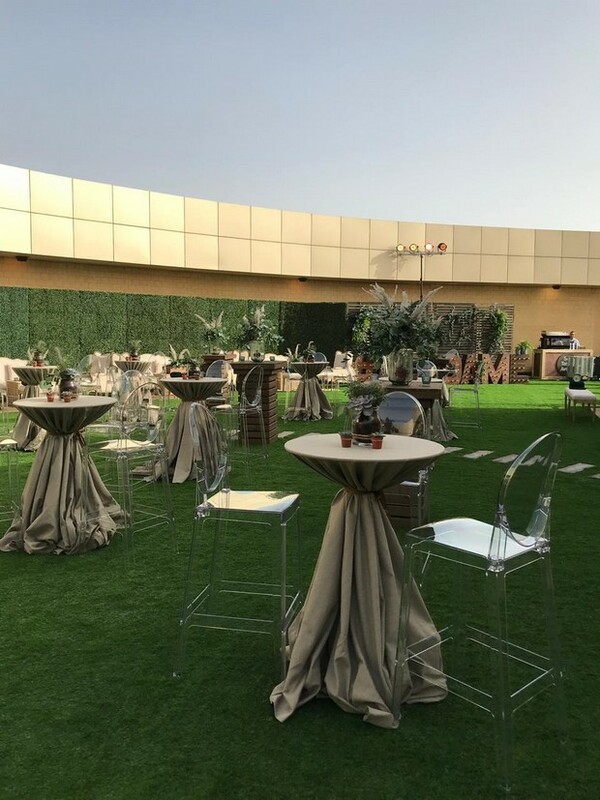 This rustic wedding in Zabeel Ladies’ Club incorporates lots of organic plants like succulents, cabbage rose, rosemary, ferns with lots of eucalyptus leaves. 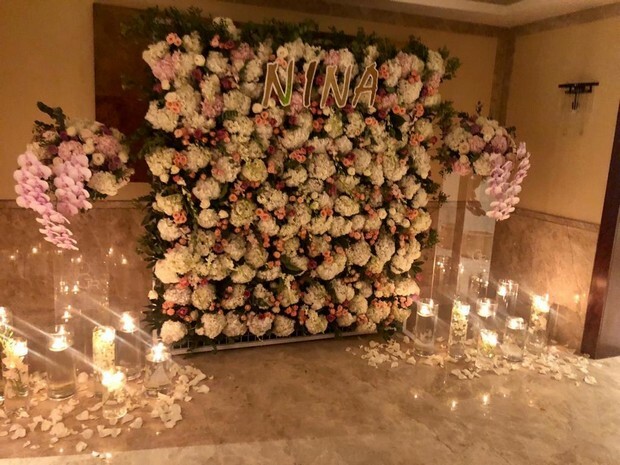 The theme for this wedding at Nikki Beach Hotel and Resort was all about romance with a whimsical and fun twist. Pastel shades are a popular choice for a romantic theme and there are some fantastic flower varieties that create that feeling of love! Here Glamour Rose have used soft pink roses, hydrangeas, spray roses, lisianthus with touches of eucalyptus arranged in a European garden style. We simply love it! 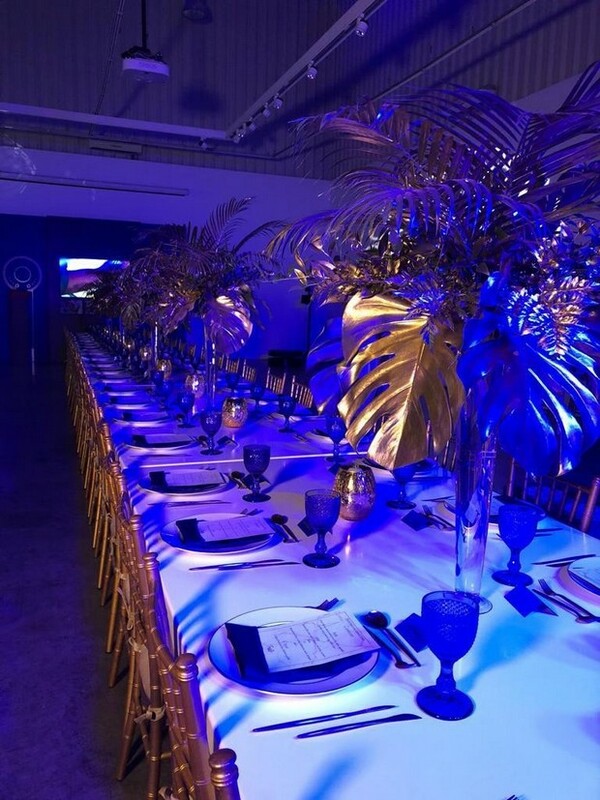 Finally what can be more dreamy than a starry night theme for an evening reception? This simple yet elegant combination of blue and gold transport you to somewhere totally magical. 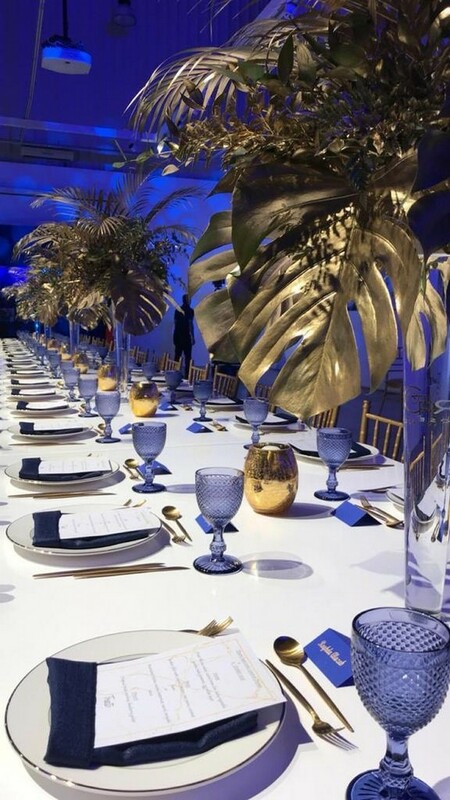 What gives this wedding extra depth are the contrasts between the white table linens, blue lighting and glassware and textured gold foliage. 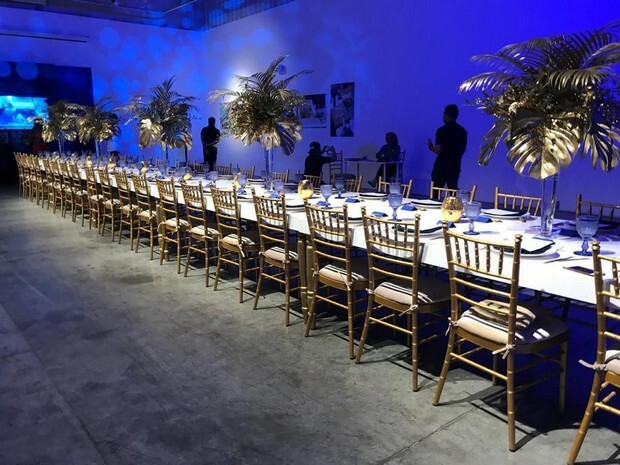 Here Glamour Rose have created the stunning centre pieces out of eucalyptus, pistachio, huckleberry, moss and some touches of flowers like limonium, astilbe, amarilys and freesias. 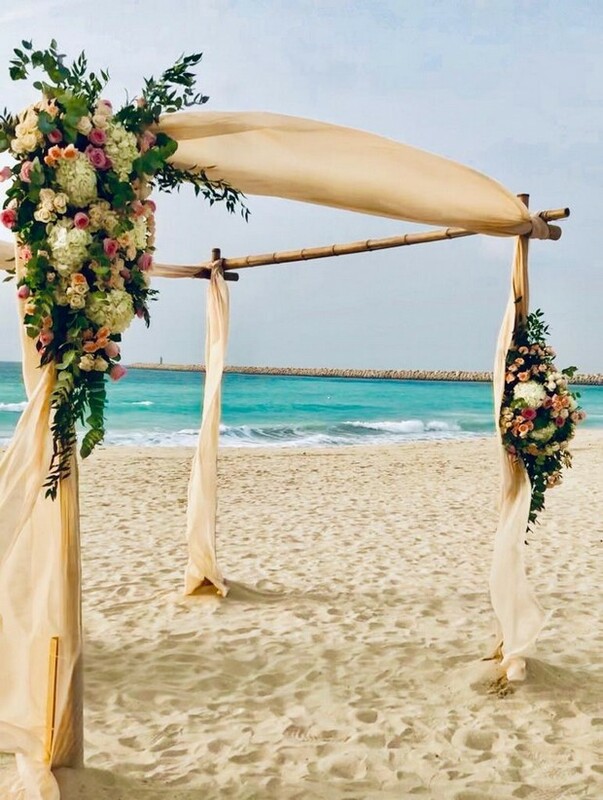 To find out more about Glamour Rose and if they’re available to make your big day one to remember, pop over to their profile page or call them on +971 4 330 0052. All images courtesy of Glamour Rose. Add The Wow Factor To Your Wedding With These Unique Flower Ideas!